Last time I left you all, I was about to compete in the 4th World Cup event of the 2018-19 season the next morning. The night before the event, I did a little bit of reflection and recognized how thankful I was to be competing at the level I am. I also reviewed some training video just before falling asleep, setting the focused tone for the moment I woke up the next morning. During Qualifications, I felt calm, cool, and composed as I stepped into the gate. Mentally, it was the best I had felt all season thus far. I believed in myself and was confident in my ability to perform my best run on demand. As a result, I laid down my best run in competition thus far this year, consequently qualifying in 3rd, thereby setting myself up for the rounds to follow. Below you can view my qualifications run! 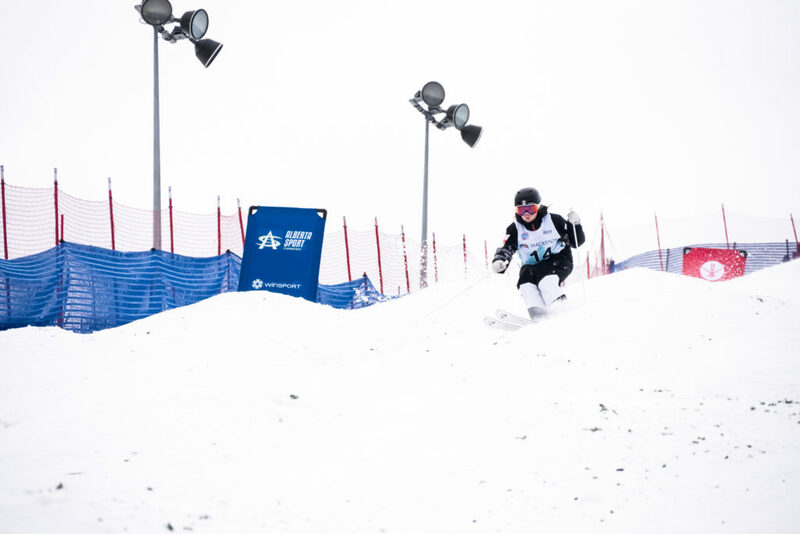 With a renewed sense of purpose, I skied confidently in finals training and in the first part of my finals run, but unfortunately got a bit caught up just a few moguls before the bottom air. While this was incredibly frustrating for me, as I felt as though I had been skiing my best all day, I’m motivated by the fact that I am firstly, getting closer and closer to achieving my best skiing on demand, and secondly, that the judges appreciated my qualifications run! I know that when I ski my best, I’ll be rewarded for it. For a little insight into my finals performance, you can watch the clip of the NBC footage here! Thank you all again for following along and stay posted for more from me soon! !